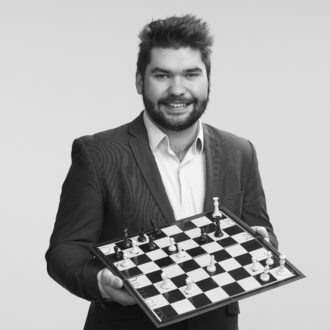 A digital marketing expert with client-side experience working for a private health sector company, James has recently moved to consulting where he’s proud to call himself a ‘marketing nerd and innovator’. Known for his critical thinking and strategic approach to client projects, James can also deliver tactically within the digital marketing space. He can personally optimise websites for better organic search results, recommend content strategy topics based on data analytics and competitor research, develop advertising campaigns involving retargeting that follows users around the internet, while also managing all of an organisation’s digital functions. Convergence connected with James in 2012 when one of his ideas won in a competition while he was studying marketing. Having since completed a degree in Business Studies, James has continued to build on his enviable depth of knowledge of digital marketing practices. In this fast-paced and constantly changing space where it’s become imperative for businesses to remain competitive online, James invests considerable time into researching digital trends and continually reviewing his approach to achieve the best possible results for his clients. Prior to recommending marketing tactics, James’ main point of difference lies in firstly assessing where an organisation sits in its digital environment, then getting its digital house in order. He also brings a firm understanding of the requirement to achieve organic growth through digital marketing, while building a non-disruptive customer base for organisations in a disruption-rich environment. Outside of his consulting work, James is political junkie who keeps up to date with goings on in both local and central government. He is also a qualified SCUBA diver, Taekwondo black belt and former chess competitor.